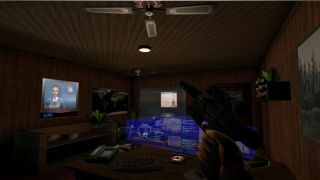 Deus Ex: Revision, a visual and aural overhaul of the great Ion Storm RPG/shooter, is slowly but surely approaching release. In the December update, the development team said it hopes to have the game ready for launch within the next ten weeks, which, assuming it isn't turned loose unexpectedly early, pegs it somewhere near the end of February. The funny thing about Deus Ex is that in spite of the extraordinarily (and well-deserved) high regard in which it's held, it was actually pretty ugly, even when it was new. The Revision project is intended to rectify that weakness with "new level design, aesthetic direction and world-building detail." The update will feature new textures and models, as well as optional support for the Shifter and BioMod mods, and Chris Donhal's Direct3D 9 renderer. "We’re aiming to wrap up production, and ideally, launch sometime within the next ten weeks," the team wrote in the update, posted on December 9. "As before, this is a loose estimate based on current progress and team member availability, and until environment design is finished, it will remain difficult for us to commit to a fixed launch date. In other words, we won’t know when we will release until we’re nearly ready to do so." The mod will also come with its own soundtrack, and a link to one of the new songs was posted with the update. It's pretty good, but in a nod to the quality of the original—which was really good—the new music will be optional: Players can choose to listen to either the new or the old soundtrack as they untangle the vast web of conspiracies that has enmeshed the dangerous world of the near future.